On Wednesday morning, the bride and groom participated in a Hindu puja ceremony at the Mumbai home of Priyanka’s mother, Madhu Chopra, according to The Hindustan Times. Wedding planner Seema Chenam, co-founder of Elegant Events, tells Access that a puja prayer – “a way to ask God for blessings” – is often conducted in the lead-up to an Indian wedding ceremony. After their puja wrapped, Priyanka and Nick smiled for photographers outside Madhu’s home. 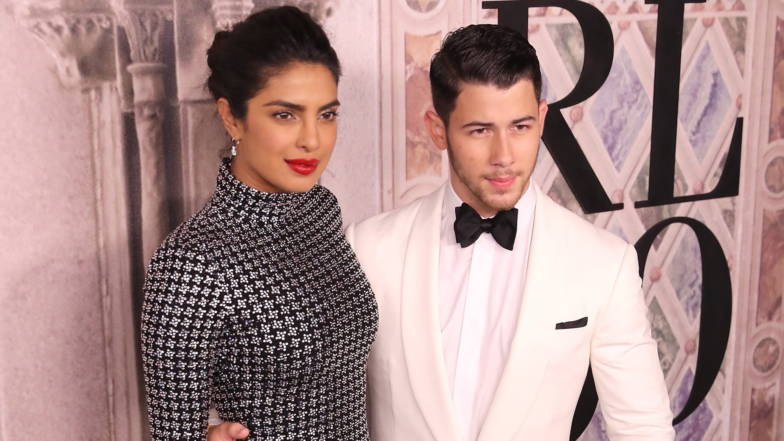 The couple dressed elegantly – with the Bollywood beauty in an embellished, pale blue ensemble and the “Bacon” singer in a blush-colored kurta. Each wore sunglasses and was adorned with a red mark on their forehead. The puja is one of a series of rituals that typically occur in the days ahead of an Indian wedding ceremony. Chenam says that in preparation for the big “I do,” a couple will usually take part in a mehendi ceremony (“where the bride will put [henna] all over her hands as a symbol of luck”), as well as a haldi ceremony (“where the bride and groom will apply turmeric paste to their bodies as a way for their skin to glow and to ward off any evil”). 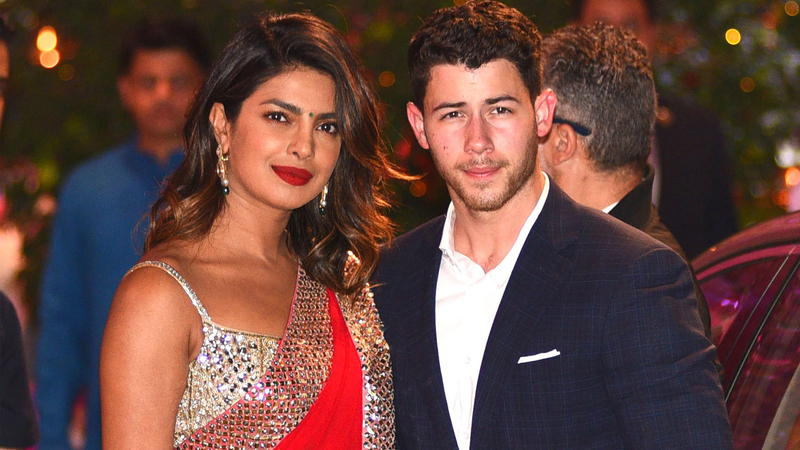 According to India Today, Nick and Priyanka are both rumored to perform at their own sangeet ceremony, with Nick possibly prepping to dance to a mash-up of his bride’s hit songs.